Join the fun as students present a 3 minute 20 second concise version of their research. 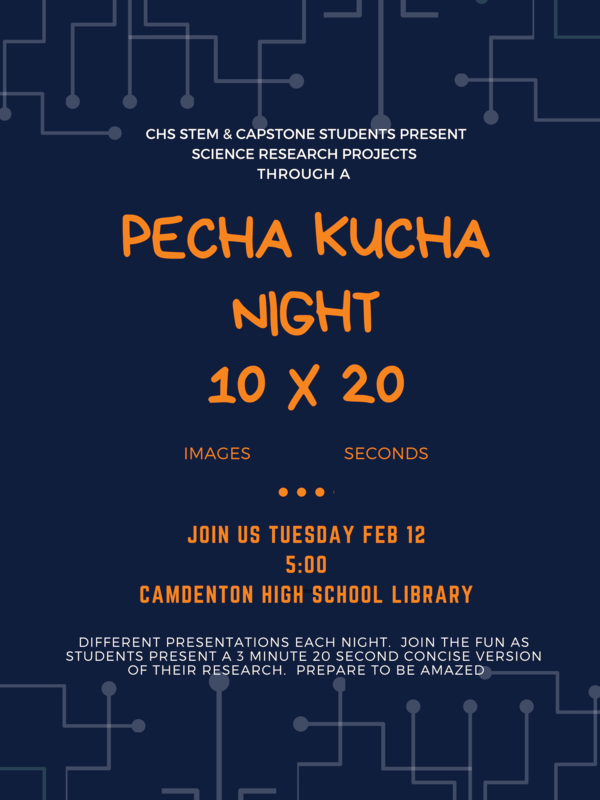 Description:CHS STEM and Capstone students present science research projects through a pecha kucha night 10 x 20. There will be different presentations each night.